SC GALLERY BY Steve Cho specializes in FASHIONABLY-INSPIRED SENIOR PORTRAITS, TIMELESS FAMILY portraits, and BRIDAL and ENGAGEMENT PORTRAITS. SC GALLERY serves in Round Rock, Pflugerville, Austin, Cedar Park, Leander, Georgetown and Central Texas area. 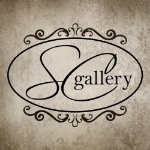 Call SC GALLERY at 512-989-6668 to schedule a free, no obligation portrait consultation.